Breathing polluted air is as likely to kill you as tobacco use — worldwide, each kills about 7 million people annually. But while the world is making progress in the war against tobacco, air pollution is getting worse. The Director General of the World Health Organization (WHO) hopes to change that. According to the WHO, nine out of 10 people in the world breathe polluted air. This week, the organization is hosting the first Global Conference on Air Pollution and Health, and Ghebreyesus is hopeful world leaders will use the conference as the opportunity to commit to cutting air pollution in their nations. 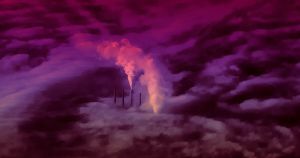 “Despite the overwhelming evidence, political action is still urgently needed to boost investments and speed up action to reduce air pollution,” he wrote, noting that this action could take the form of more stringent air quality standards, improved access to clean energy, or increased investment in green technologies. The impact sustained action against air pollution could have on public health is hard to overstate. The conference ends on Thursday, so we won’t have to wait long to see which nations do — or don’t — heed the WHO’s call to action.